You really should experience Alta Val Pusteria from the seat of a bicycle. Sometimes – unfortunately much to rarely– I hop onto my bike in the early morning before the first guests awake and just go for a cycle. Then I savour the silence of nature and the feeling of being able to reach any destination under my own steam. When I finally arrive where I wanted to go, I’m exhausted but happy. Then I’m all set for a new day in the Post Alpina. And if guests ask me where the best bike tours in the region are, then I can always give them some great advice. 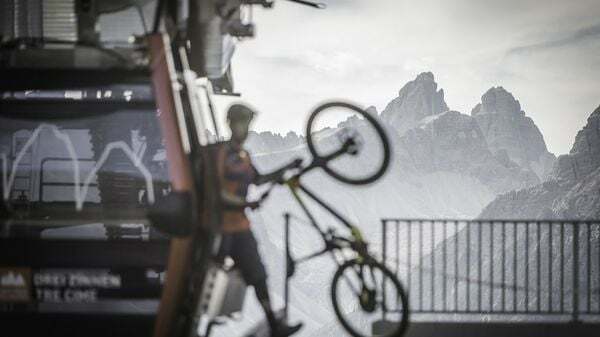 The nature and mountain world of the Dolomites are ideal for mountain biking. 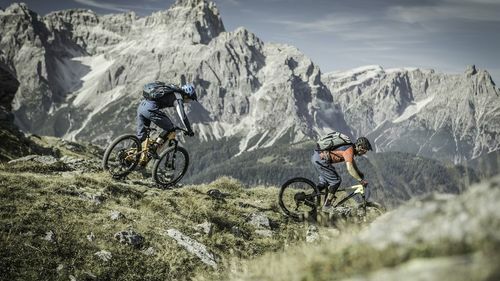 Dolomite passes, mountain trails and breathtaking forest and meadow trails are just waiting to be explored. You can head off straightaway and take the family on a more leisurely tour or accept the challenges of a more strenuous tour. 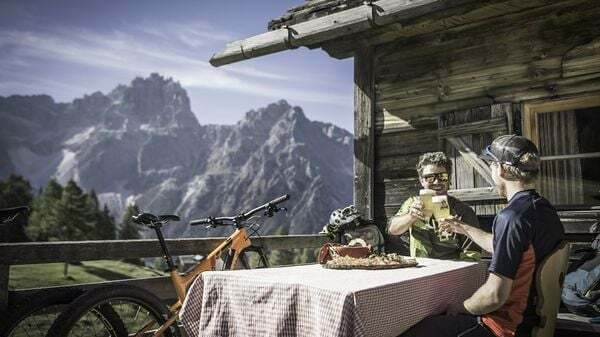 If you’d like to join a guided bike tour, then you may take part in those organised by the Tourism Association or the Dolomiti Mountain Sports. You are welcome to keep your own bike in our bike room afterwards. If you arrive without your bike, you can hire one from our partner Papin Sport and receive a 10% discount. In the hotel, you also have the option of hiring an E-bike (for an extra charge). The highlight: The new "Stonemantrail" is about 120 km long, has over 4,000 m of difference in altitude and is perfectly sign-posted with "stone men". Don't miss it.